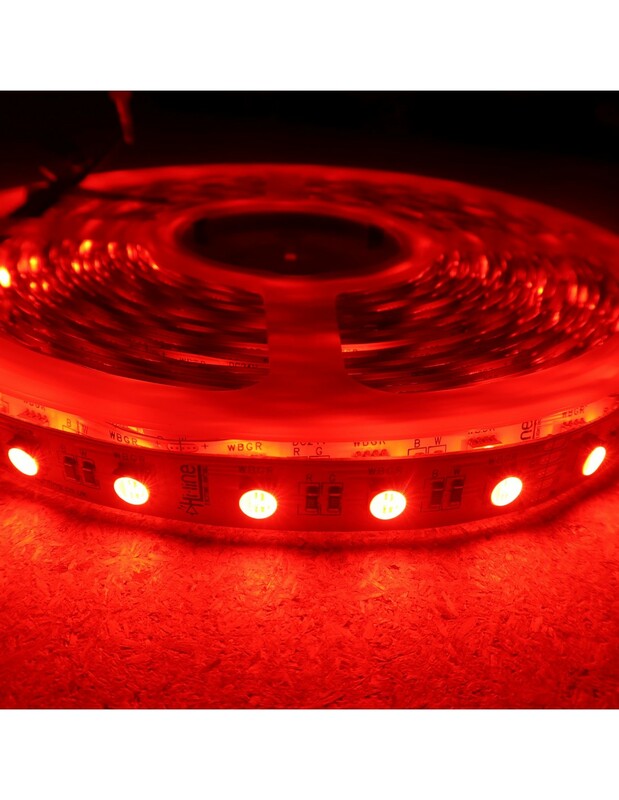 This new design of RGBW LED strip integrates all 3 primary colours (Red/Green/Blue) + Cool White in a single chip. 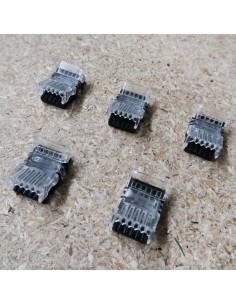 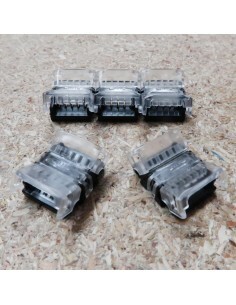 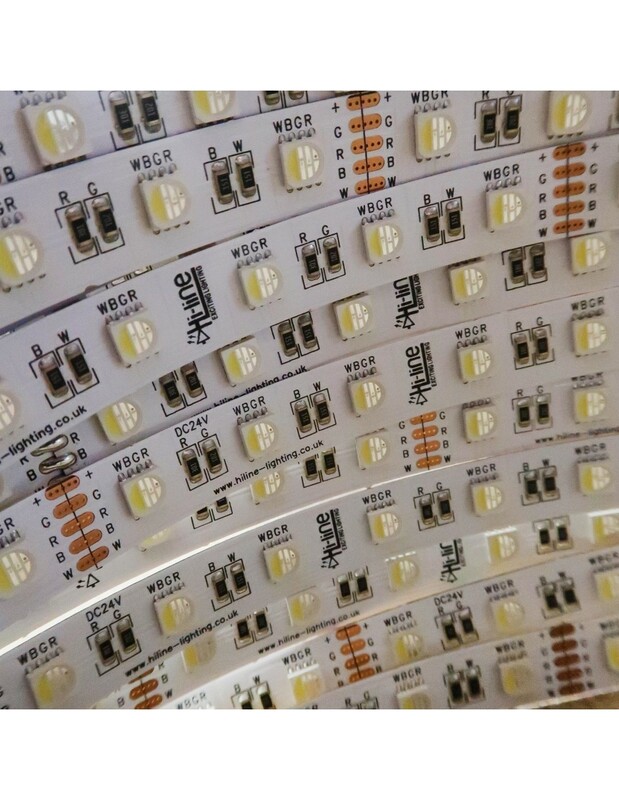 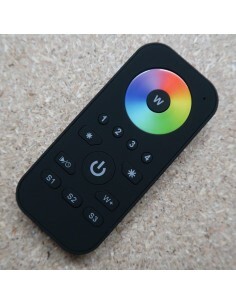 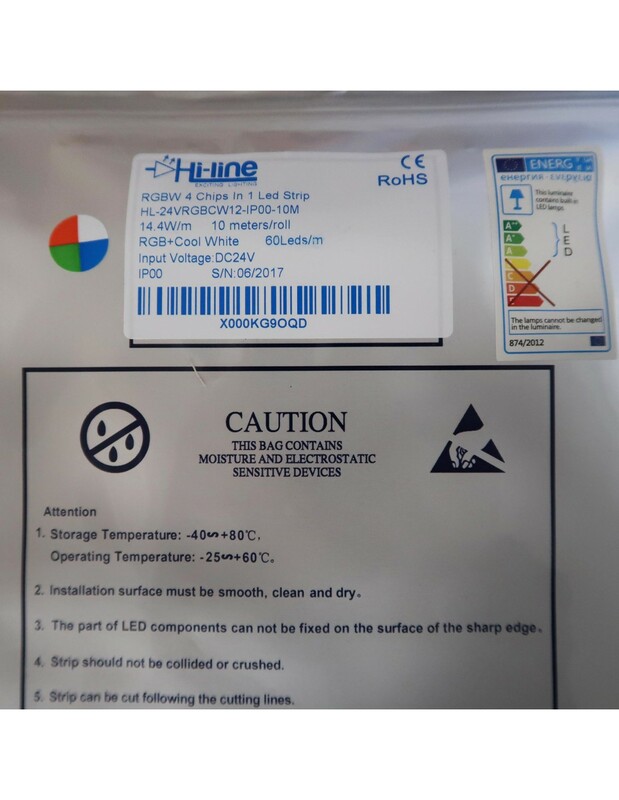 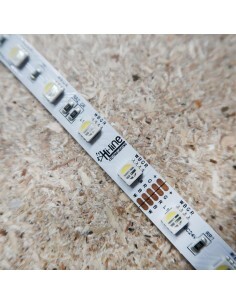 Due to this innovative design (4 in 1 chip), the strip is brighter than the conventional RGB + W strips, which have one chip for RGB and another one for white. 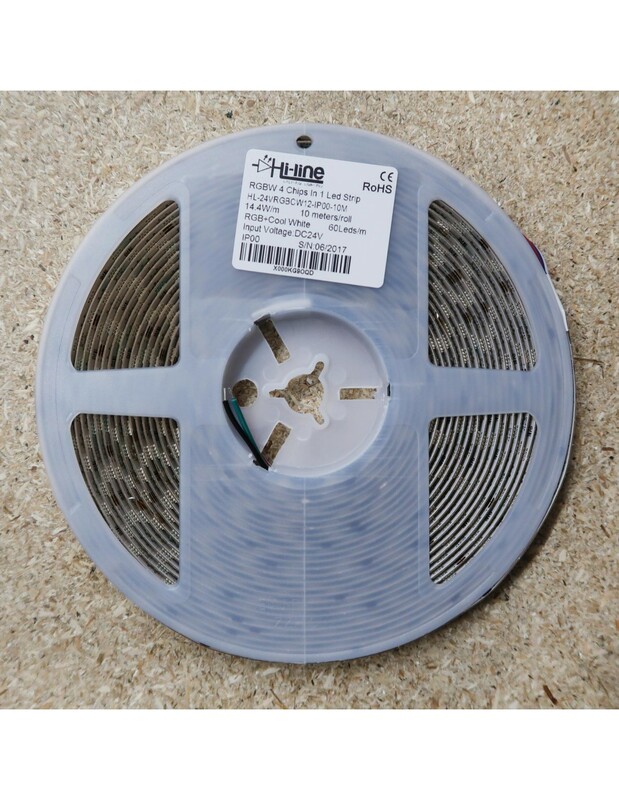 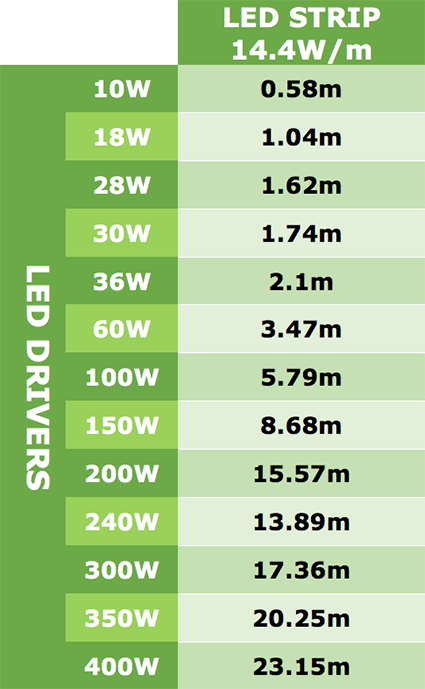 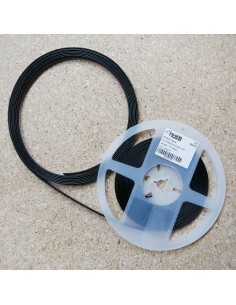 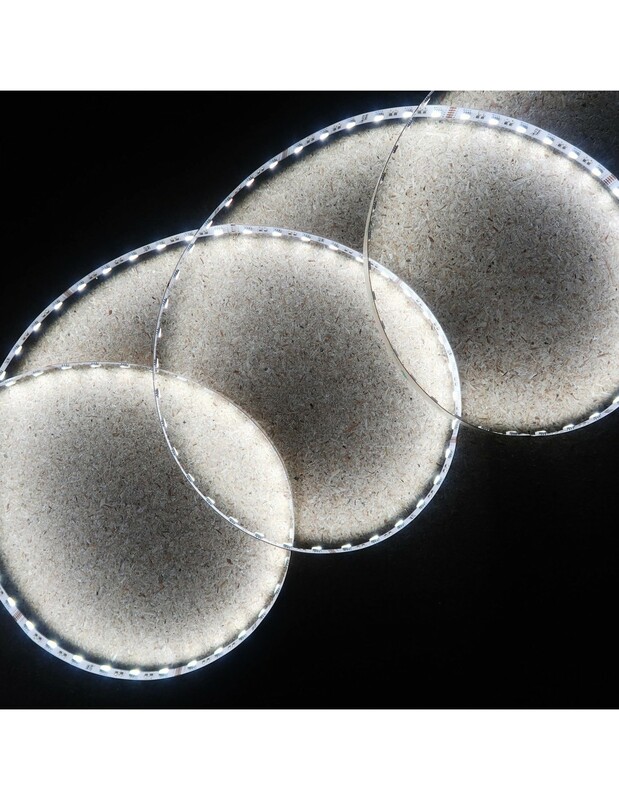 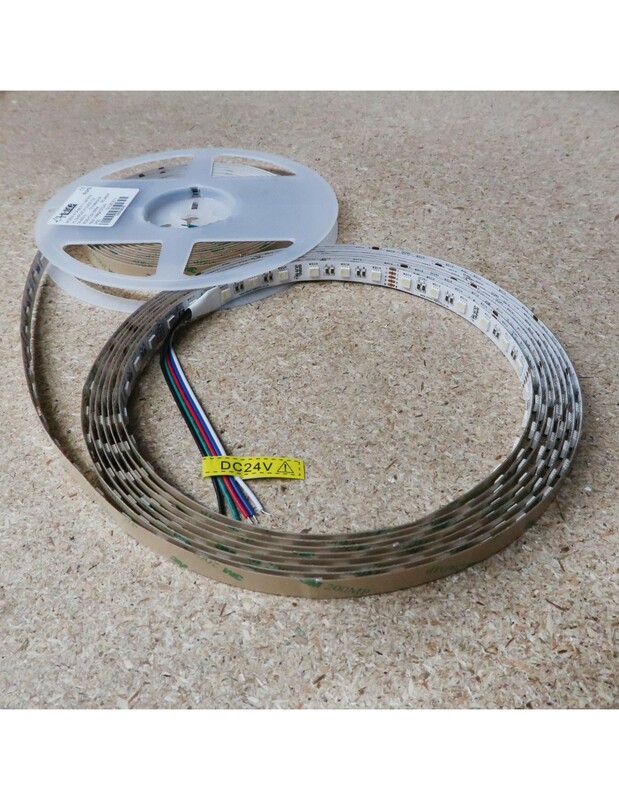 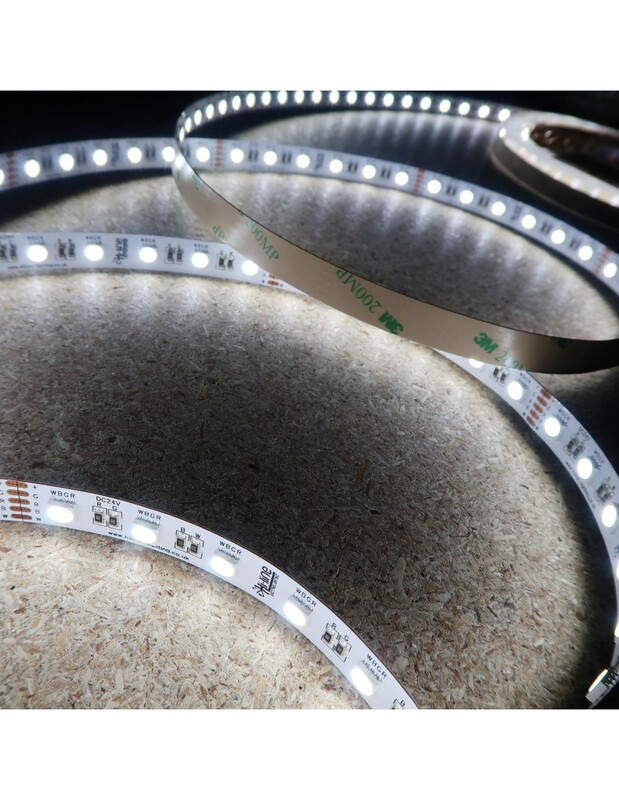 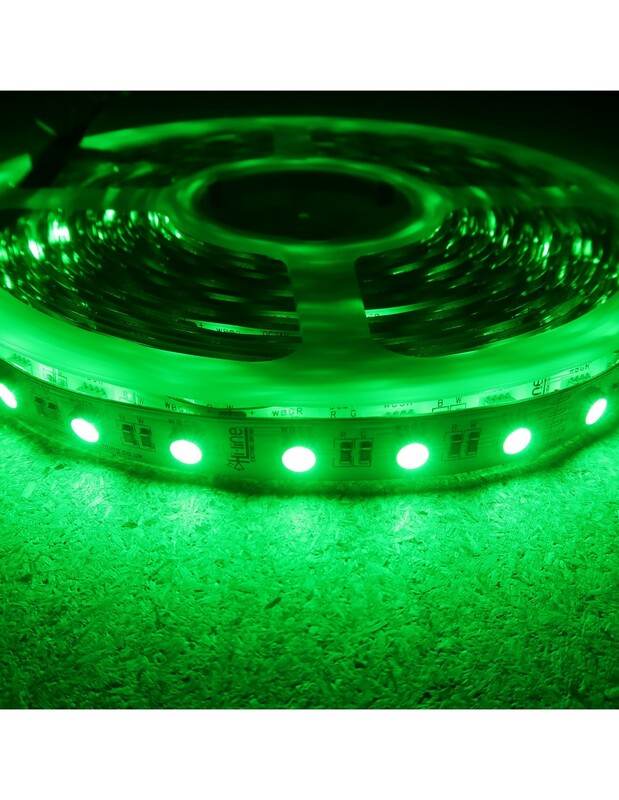 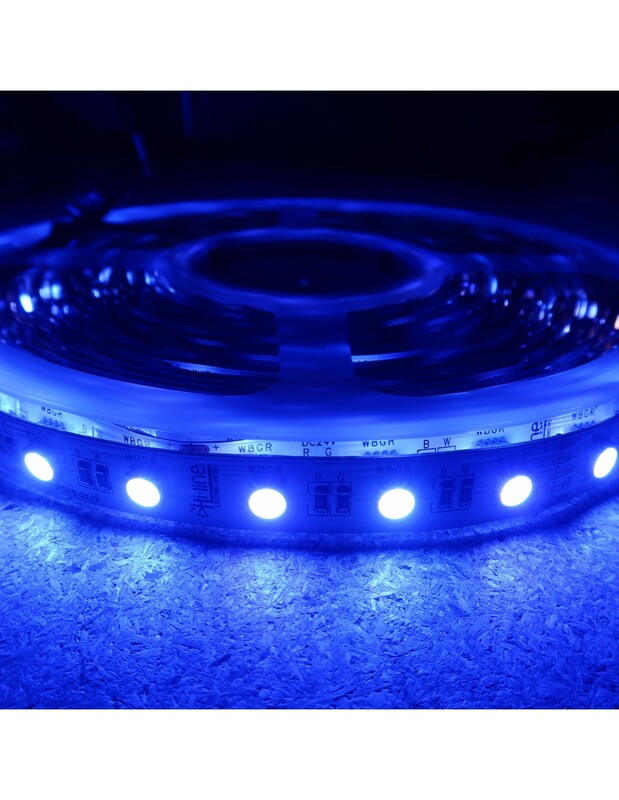 The stated price is for 1 x 10-meter roll RGBW LED strip (Cool White) with 600 SMD5050 RGBW LEDs – IP00 (Non-Waterproof), 24V DC.